Take a look at the pick to the right. 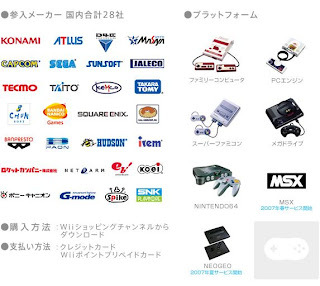 Notice anything new among the systems supported by Nintendo's Virtual Console (in Japan)? You got it--there's a NEO-GEO on there! According to a blurb on GoNintendo, NEO-GEO games will start appearing on the Japanese VC this summer, soon after MSX games first show up. Will we be getting them here in the U.S.? I would imagine so, though there's no confirmation as of yet.